Alright, alright, as promised (two weeks ago, I know, I know, bad job) I wanted to fill you in on the most amazing, most accidental “picking” weekend I’ve had in quite some time. My husband (Ryne) and I headed out early one Friday morning for some estate and garage sale-ing, but somehow stumbled upon a treasure trove – or rather a graveyard – of recovered hardware and architectural pieces, just waiting to be plucked and polished. 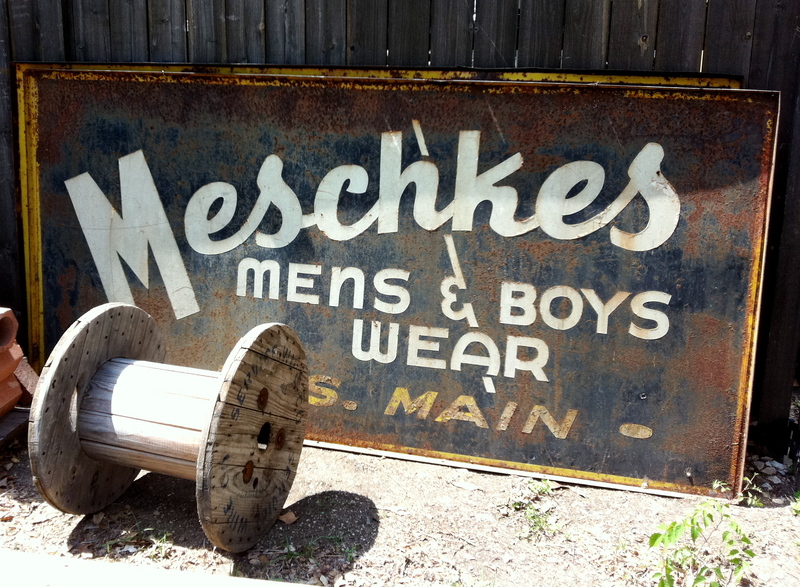 The Mesckes sign could quite possibly be the coolest accent on any blank wall in any sort of room, and the large wooden spindle could be painted, maybe double as a unique bedside table – these are the things that were dancing through my brain as Ryne slammed on the breaks at the sound of my giddy screams. 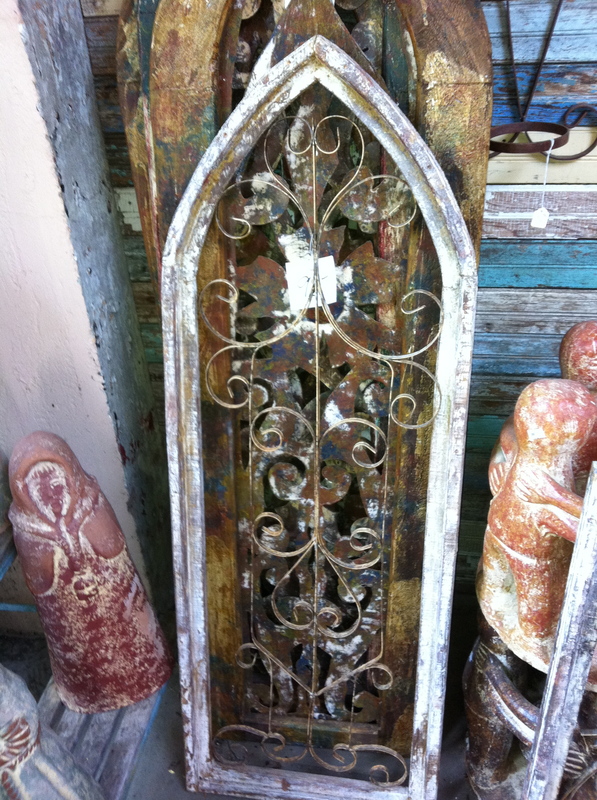 Again, we had no idea why we had never noticed the string of hardware/antique/junk stores on the way to our friend’s house (that happens to be on the same street) – but it was quite the discovery so early on a Friday morning, and we had nothing but time. Picking through the buildings first, which we came to realize are owned and operated by The Old Home Supply House, located in the Historic Fairmount District. 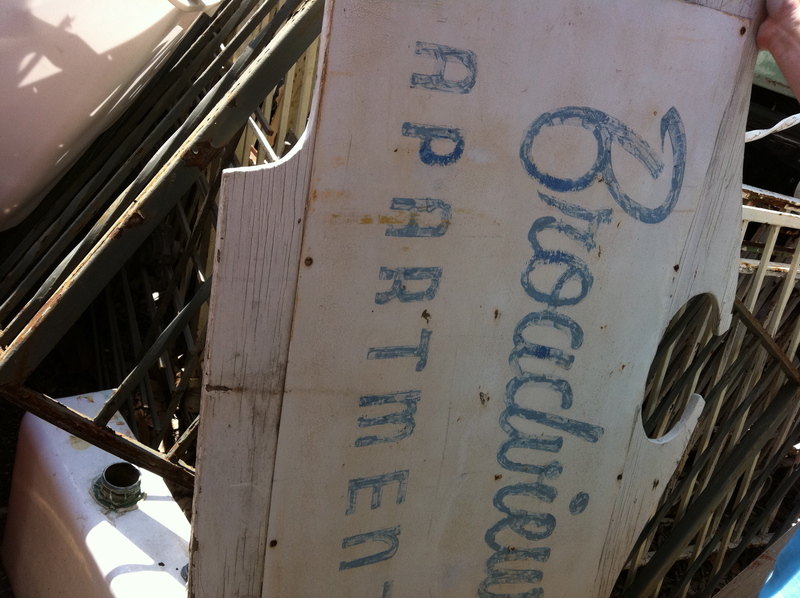 From the ruins, a white and baby-blue “Broadview Apartments” wooden sign emerged, and I snapped a quick picture, from which you can tell that I’m not exaggerating when I say this place was more of a junkyard than a graveyard. I had to have this. 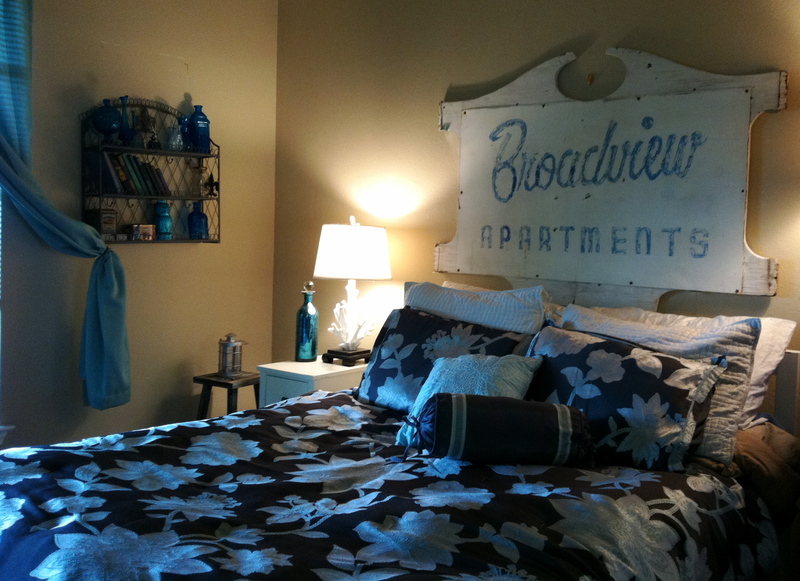 I’ve been trying to redecorate our room, which is the same hue of blue, and also looking for ways to incorporate an antique white into our color scheme. Conveniently, this was the piece to turn it all around. Ryne sprung into action, searching for someone – anyone – to help us rescue this one-of-a-kind sign. A rather confused woman finally waddled our way, priced my find at a whopping $35 (Ry and I almost simultaneously peed our pants), and the sign was ours! We loaded it up, cruised it home, and cleaned it up. It took a little while to figure out exactly how to hang the sign above our bed, but with the right tools (and a few trips to Home Depot), Ryne mastered the final step in our restoration project.